Tablets are becoming an increasingly bigger part of how we entertain ourselves and even conduct business. I have found some of the most useful apps via recommendations of friends, colleagues, patients, and articles like this one. I hope you find a must have app or two. This article is the second of a series of articles on useful iPad apps. Part one of the iPad app series was published a few months ago. Google Earth is a great way to see what your iPad is capable of. Pick a destination on the globe and you can then view it in 3D. It doesn’t matter if your desired location is your childhood home or the Pyramids of Egypt, virtually the entire earth is available. The resolution is great. If you can imagine having the ability to fly, you get an idea of the viewing perspective available with Google Earth. Most popular destinations and cities are available to view in 3D. You can zoom in or out on your desired location and hover above it from any altitude. A fun and interesting way to kill a few hours. Google Earth is free. When I was looking for an office productivity suite I first checked out the Apple products, Keynote, Pages and Numbers, however I wanted better Microsoft Office compatibility and settled on Quick Office Pro HD. It allows for basic formatting of Word, Powerpoint and Excel documents and overall works pretty well. It is clearly not a replacement for MS Office, but it takes care of most of your needs when advanced formatting is not required. What I do like best about it is that it integrates well with numerous cloud storage providers such as Google Drive, SugarSync, DropBox, and Evernote. Quick Office Pro HD is $14.99. LastPass is a password management tool and consequently a very important app for me. I use it multiple times a day and can not recommend it highly enough. When you set up your account, LastPass encrypts your passwords on your PC, and uploads the encrypted passwords to their servers, giving you an encrypted offsite back up of this critical information. You can then opt to only store encrypted passwords on your PC, further enhancing your passwords security. I usually use the desktop version which smoothly incorporates password management into your internet browser. The LastPass iPad app gives you access to all of your passwords via its own internet browser. LastPass uses its own browser since iPad’s Safari browser does not allow plugins or app integration. LastPass works very well and provides a safe, secure way to store passwords and other confidential information. LastPass offers free and paid options. Onlive Desktop gives you a virtual Microsoft Desktop. This is great when you need to make a 100% Microsoft compatible document. The only drawback is that it requires an internet connection. When you log in it looks like you just logged into a windows PC. You can share your OnLive files with your desktop PC or Mac by logging into files.onlive.com. I can’t believe this service is free. Do you want to learn about a particular subject? iTunes U has hundreds, possibly thousands, of free courses available on nearly every topic you could want. There are college level courses offered by major universities in addition to K-12 classes. There is also a section where private or non-profit organizations offer courses. The courses are very well done with class notes, audio and video material. iTunes U is an incredible resources. You can download the complete courses to your iPad for later use or pull them off the internet as needed. The iTunes U app and access to the library of classes is free. Who doesn’t love Skype? Do you remember seeing the Jetson’s as a kid? I remember seeing Jane Jetson talk on the video phone, and if she wasn’t “presentable” she would cover her face with a mask of herself while she talked. I thought how cool would it be to be able to see the person you are talking with on the phone, just like on the Jetsons. Skype now gives us that ability. The free version allows you to video-teleconference with one other person. If you want to make calls to ordinary telephones or video-teleconference with more than one person there is a modest monthly charge. Skype is a must have, making it easy to stay in touch with family members that are far away. The Eye Doc Blog is powered by WordPress I often use this app to manage comments, check statistics, and read other blogs. If you do any blogging this is a great app. The WordPress app lets you manage your blogs, and functions as a good blog reader. This app is free. If you have a Gmail account then this app is a must have. I use it daily. It allows me to do everything on the app that I can do when I log into my Gmail account via the web. This app is a freebie. Have you ever been at home and wished you could log into your office computer? LogMeIn let’s you do just that. Most often, you will navigate to the Logmein (Log Me In) website and gain remote access to your registered PCs. The iPad app is very well done and easy to use. It’s a handy app when there is something you must do or have access to on a remote PC. I do miss the lack of a mouse while using the app; however the advantage of using the app versus logging into Logmein via Safari is they have incorporated various finger gestures into the app to simulate mouse functionality. While not quite as efficient as using a mouse it will allow you to do what you need to do and beats having to drive to the office to get that must have file. Logmein is free for basic access to 6 PCs, a subscription service is available for more advanced options. That will do it for now. Nine more iPad apps I have found helpful. I’m sure you have some winners as well. I would love to hear your recommendations on iPad Apps that you have found helpful. You can read part one of the iPad App series here. Daily disposable contact lenses are easily the most convenient travel option. With daily disposables all you have to worry about are lenses, no extra contact lens solutions are needed. Now, there are many new, convenient options available for daily disposable contact lens wearers. Numerous contact lens companies now make daily disposable contacts in both toric, spherical and bifocal versions. With the expanded parameters now available, over 80% of contact lens wearers can now find a daily disposable contact lens that will fulfill their needs. The biggest hassle for traveling contact lens wearers is how to transport the contact lens cleaners and solutions. After all, the TSA limits each bottle of liquid, aerosol, or gel to 3.4oz (100 ml) or less and all of the bottles in your carry-on luggage must fit into a clear, 1 qt. zip lock bag. There are exceptions; however, for prescription, OTC medications, and people with special needs. You are not limited in the amount or volume however if an item is over 3.4 oz or it is not in a 1 qt. zip lock bag then you must declare it. I’m really excited to try out Amazon’s newest tablet computer the Amazon Fire. I love my Kindle Keyboard however it is not yet the perfect e-reader. In looking at the new specs for the Amazon Fire this new offering may come pretty close. 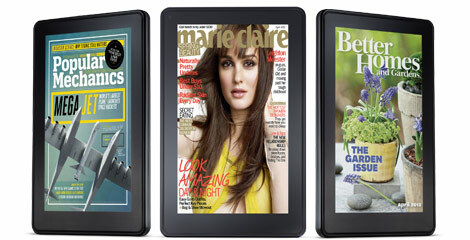 Amazon has also updated it’s entire e-reader line with three other e-readers at much lower price points. The Kindle, the Kindle Touch and the Kindle Touch 3G all of which have no keyboard. The Kindle Fire incorporates a multi touch screen like the iPad, however it is the same overall size as the Kindle Keyboard , albeit slightly thicker with a color screen. I dont’ really see the Kindle Fire as an iPad2 competitor. This model is really more of a Barnes and Noble Nook killer. The Fire will allow users to access basically everything Amazon has to offer in their store plus Android Apps, streaming music and movies, email and the Web. I do see Amazon coming out with a version that will directly compete with Apple’s iPad, possibly by Christmas 2012. In order to compete with the iPad, Amazon will have to add a few more capabilities such as 3G connectivity, front and rear facing cameras, more internal storage and a microphone. Some people don’t like the size of the iPad and adding those capabilities in both the 7″ and 10″ inch screen sizes will be a great combination. Not everyone wants an iPad to read books on, frankly I find the iPad much to heavy and large to easily read a book. It would be nice however to be able to read magazines in color and to easily visit a link in a blog or PDF, the Amazon Fire will allow us to do this very well. So as soon as I get my hands on an Amazon Fire in November I’ll give a more complete review along with how it may or may not help patients with low vision. The Amazon Fire and the other new Kindle’s will ship on November 15. You can pre-order yours here.